There are system that it extended its application, rather than reliable, there are still clinging to their old “glory”. A classic example, at least in Venezuela, was the manual vote. After nearly 40 years of use, the idea of automating the vote was strongly rejected by the political class, but the inefficiency of this model, along with the opportunity provided for the offence, were creating the need for progress started now ranks Venezuela as one of the most advanced and successful in the adoption of electronic vote. On June 10, in this country, was fulfilled a new election date that tested the degree of penetration and trust the automation of the vote. The new party, Voluntad Popular (Popular Will), which is led by former mayor Leopoldo Lopez, one of the most visible leader of the opposition to president Hugo Chavez decided to hold the first elections in its history to choose the board of directors that opened its political career, using the same electronic vote system that the nation use since 2004. The characteristics of the process fell short in magnitude of a constitutional election. But what they were identical, they used the same voting machines which Venezuelans decide their future trough the ballot boxes, and even used the same election and tallying system established in the country. For the process, the National Electoral Counsil served as logistical and technical support enabling 1180 polling centers in Venezuela, with an equal number of voting machines, since the party called on all registered in the National Registry (17.8 million voters). The elections were met normally, and even the election that was complex, had no problems. Each voter could cast up to 13 votes in the machine: 4 for the National team, 3 for the regional team, 2 for the municipal team and 3 for the youth team. This election event was more than a domestic partisan. It showed that regardless of ideology or sympathy, Venezuelan electronic vote, which system and voting machines where provided by Smartmatic, is approved by the majority of the country. Voluntad Popular (Popular Will) is an organization that declared opposition to Chavez regime but that condition did not prevent the automated system relies on its organizational future and decided trough the electronic vote. The experience leaves the record, that electronic vote can be used under any socio-political situation. In all democratic countries are usual partisan differences and are deeply rooted in Venezuela between government and opposition, but this really did not dent the confidence of the automated system. Although Mexico stands out as one of the strongest economies in the region, having one of the largest populations and display important indicators of governance, their electoral system model shows a substantial lag compared to least “powerful” nations, or even against Brazil. The difference was shown the past 3rd of July, when elections to elect governors and renew the municipalities were held in the states of Coahuila, Hidalgo, Nayarit and Mexico. The process, although it took place in calm, made it clear that the current manual voting system continues to show questionable results that call into question its functionality and effectiveness. According to the Special Prosecutor for Attention to Electoral Crimes, although the elections were done in only four regions, reports of alleged fraud totaled nearly 200 cases, and even the candidate of the PAN for the state government of Mexico, Martha Elena García, said that she would challenge the results. Another factor that worked against the manual voting, was that the slow count and logistical obstacles forced to reveal unofficial results on the Election Day provided by the Preliminary Electoral Results Program, and four days later the final and formal statement of the votes was disclosed. This situation contradicts Mexico’s image of a more developed country compared to others in the region, and one of the most solid democracies in Latin America. However, in the electoral practice it holds a considerable delay. Mexico’s acknowledged rival, Brazil, is ruthlessly ahead, as it has 100% automated elections and an almost insignificant level of complaints regarding election results. Facing the challenge of modernizing the vote, the Federal Electoral Institute will begin to show the transition’s implications next year. For doing so, they are bidding for the acquisition of 1,000 voting machines which will anticipate the Mexicans how to vote from 2015, the estimated date when the first stage of the realization of electronic voting will be completed. The road Mexico must travel for a modern, transparent, and effective electoral system will not be easy. First, it’s required to make a legal reform that contemplates the use of electronic voting, an area in which the federal electoral authority is late compared to authorities in several states where legislation has already been adequate. It also will merit the organism is equipped with the eventual budget to meet the legal mandate. The citizens are waiting. 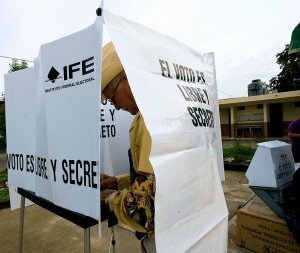 The authorities and politicians must decide to match Mexico in the implementation of election technology, which is a recognized and supported model in other Latin American countries. Recently, the websites of the electoral bodies of Brazil, Peru and Venezuela have been updated, not only to ease the search for information, and provide more services to citizens, but also to optimize the links relating to electronic voting. The Brazilian Electoral Superior Court significantly altered its Website, and although it still does not provide the Spanish version, for now in Portuguese and English can take a tour of the legal, logistical, functional and online services concerning electoral matters of the country. A special link takes the user to the electronic voting, because in addition to fully explain the implications of automation (software and hardware), it provides a simulation of the voting machine for every visitor to experiment with electronic voting in Brazil. 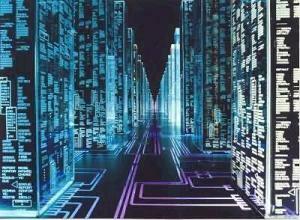 In Venezuela, the National Electoral Council also amplified their information on electronic voting. Although the redesign of the website was completed several months ago, just days ago they enabled a new link that provides information on improvements to the automated voting system, passing through acquisition of new machines, biometric identification, and the renewal of the voting equipment. Another country that went further in its online election information is Peru. The National Office of Electoral Processes, as well as making available to the public necessary links to learn about automated voting system tested for the first time last month, also created an additional website focused on electronic voting. The website is called Observatorio del Voto-E en Latinoamérica. It focuses on information concerning the Peruvian model, and intends to deepen the accomplishments that other countries in the region have met when they modernize their voting system. The National Registry of Civil Status of Colombia, also published on their website information relating to electronic voting, and the new biometric identification system implemented to curb election fraud related to the identity of voters. These four countries are moving forward in the electoral automation, and in the near future they will give surprises to the world thanks to their decision of providing a more reliable systems, when it comes to choosing their rulers.